It’s no secret that we’re in a golden age of television and decades into a golden age of magic. 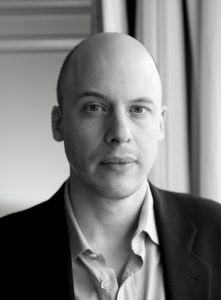 But interest in magic is not a fad that began with Harry Potter or Stranger Things; it’s part of the human condition, says author Lev Grossman. It’s something he knows a thing or two about. His novel The Magicians was a best seller and has been turned into a television series on the SyFy network. 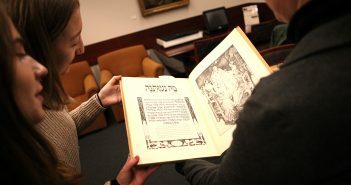 The book is the cornerstone for Fordham College at Lincoln Center’s Year of Magic, a series of events for first-year students that look at magic through a variety of academic disciplines. The novel has also inspired an ongoing SyFy network television series, which examines the practice of magic in the real world. 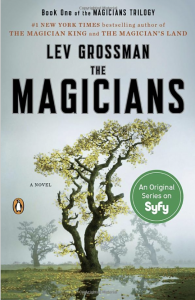 Grossman said that the creators of the television show—which examines the practice of magic in the real world—often consult with him on the script, but they have indeed “made it their own.” He said that many of the book’s characters and settings remain the same, though the storyline often veers in directions distinct from the book. “Stories on screen are shaped very different from books, they have looping plots, and those loops have to fit together for the season and to make seasonal arcs,” he said. On the subject of magic, he said that he was, like most young people, attracted to fantasy from an early age. He said that he read fantasy “compulsively.” In his book, he describes characters who do magic compulsively, even addictively—like a drug. They live secret lives in shambled homes akin to crack houses. But that’s not to say fantasy is about escapism, he said. It’s about facing the truth. “Fantasy is a way at getting at real issues,” he said. 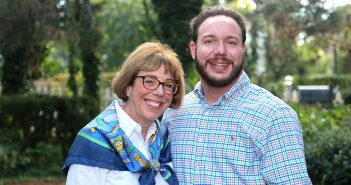 In his Mary Higgins Clark Chair in Creative Writing Lecture on Oct. 15, Grossman said he’ll explore a variety of themes, from magic to the professional lives of writers and even changes that have occurred since he wrote the book in 2009. Several students have already commented on the lack of diversity in the novel and issues related to gender portrayal. “I hope students will feel comfortable bringing that up personally at the Q&A at the lecture,” he said. Because everyone seems to have an option on writing these days, literary critics have had to find a new role, Grossman said, particularly at time when Amazon reviews usurp traditional book criticism. He said that the times also demand different entrées into books. At the lecture, he’ll also discuss particular tools in writing, such as how to write a catchy opening. He said that the title of his lecture, “I Did It Wrong,” hints at the hard-knocks path of getting published, adding that he had no meaningful success until he was 40. Preparing for the lecture made him think about how long it took for him to feel like he was having any success as a creative person. Writing can be a very lonely business, he said, and rejection doesn’t help. The reality is that the feeling of personal rejection is part of the business.